Walking toward RIMYI just after noon, I saw a crowd blocking the street. Just outside the gate, an ambulance was parked. 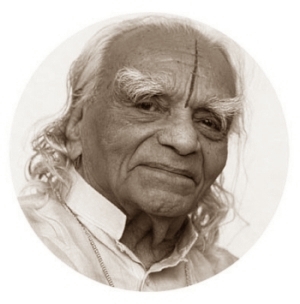 Soon I heard chanting, and five or six men, draped in white cloth, came carrying the body of BKS Iyengar, adorned with flowers, high on a stretcher. Hindu funeral rites are very unfamiliar to Western eyes. I couldn’t see much, standing behind dozens of others. Some were taking pictures, holding their camera above their heads. I, too, wanted to memorialize the day, but couldn’t bring myself to take pictures. Hoje, na aula aqui em Blacons, enquanto descansávamos da série de ashtavakrasanas, Faeq nos contou a história do sábio Ashtavakra e seu encontro com Janaka. Segue para vocês. Ashtavakra Gita translated by John Richards. In August 2012, I was chatting with a few friends about travel. Where are we going? Where do we want to go? I mentioned that I hope to go to India while BKS Iyengar is still alive. “How old is he?” Doug asked. “Ninety-four in December,” I said. His mom is elderly, and he knew I had no time to spare. Two years later, I finally made it here. And I might be unlucky in my timing. 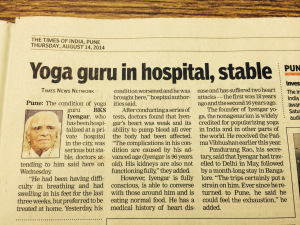 Mr Iyengar recently took ill, and he hasn’t been well enough to practice in the hall. In today’s Times of India, I read that he was hospitalized this week. See here for another article. 1º ) entre na sala e saiba que a banca quer que você seja aprovado. Há necessidade de professores competentes e devotados no Canadá (e no Brasil, claro). Se você não for bem sucedido na primeira tentativa, tente novamente. Não desanime. 2º) Pratique ao menos um nível acima do seu. Olhe sempre as fotos do Light on Yoga. Escolha um asana da sua lista, observe-o no LOY e descubra todos os asanas que se relacionam com ele. Mesmo o asana mais difícil tem o início de sua preparação em asanas mais ‘iniciantes’. O trabalho do Guruji está lá em cada página, o sequenciamento se fazendo visível. 3º) Ensine do modo requerido para o seu nível, mas saiba mais do que você irá ensinar. ‘A maioria dos professores que prestaram exame de certificação se referem a ele como um grande experiência de aprendizado, inclusive quando não foram aprovados, lidando com o desapontamento, aprendendo com a experiência, retornando e submetendo-se à certificação outra vez. Minha primeira experiência em ser examinada foi quando Guruji foi a Victoria e pediu para ver professores locais ensinando. A meio caminho do estúdio, recitei uma prece: por favor, Senhor, permita-me mostrar o que sei. É impossível ensinar o que não se sabe, mas o nervosismo pode interferir em mostrar o que sabemos. Com esse conhecimento, senti um tremendo alívio. Onde caminha para fora da linha ou não me fiz clara, Guruji me guiou e , não era isso preferível a continuar na direção incorreta? A complete Spiritual Quest package for all human minds craving for Peace & Eternal Bliss! Watch short journey to 12 ancient holy places of lord Shiva across India, called Jyotirlinga, which has different Spiritual and Scientific significance to gain ultimate Bliss that we all desire in daily stressful life. By cultivating an attitude of friendship toward those who are happy, compassion toward those in distress, joy toward those who are virtuous, and equanimity toward those who are nonvirtuous, lucidity arises in the mind (B). Day three with Arun was great. 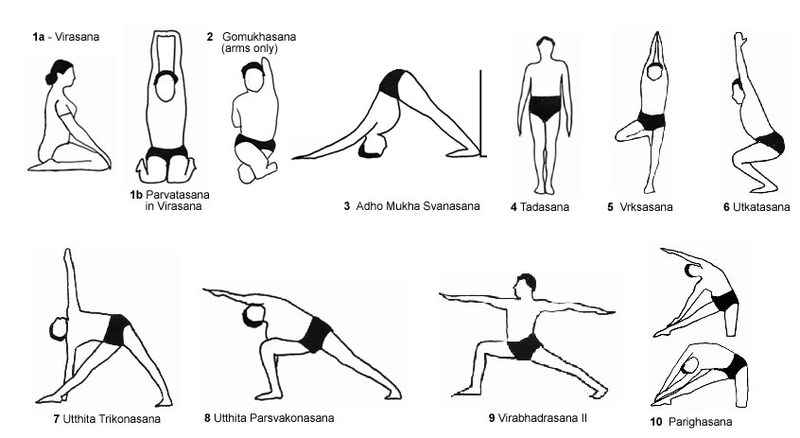 We did backbends in the morning and lots of seated twisting variations in the afternoon. His teaching of asana and philosophy had so many direct links with what we were learning in Pune and observing those links on my home turf so to speak, offers a nice opportunity to start the reflection and integration process. I was particularly struck by several things he said about the teaching process. He told a story about the first conversation he ever had with BKS Iyengar about teaching. Guruji told him that “you must come down to the level of the student.” How Platonic. The philosopher returns to the cave to lead others into the light. In this case, the light of yoga. Arun explain that is part of his teaching style in the demonstration. He stays a little while so he has the immediate felt experience of the pose as he watches us do it. He looks so calm, peaceful, and serene in the poses he demonstrates. Watching that gives us a tangible picture of the “equanimity, tranquility, serenity” that Prashant so frequently refers to. The second point he made about teaching involves the sutra I mentioned above. Arun said all of these qualities are important, maitri, karuna, mudita, then he paused, and said, “Upeksa, that’s the most important one.” But that indifference or equanimity is key. I think about that a lot in the context of philosophy teaching. You can only plant seeds. You can’t make someone think differently. So, too, asana teaching. That’s one I need to work with more. As a student, I appreciated how much Arun explains the meaning and the reasoning for what he does. He isn’t a “just do it” sort of teacher. important part of the teaching. For instance, he does not do the second sloka of the Patanjali chant when he travels to teach. He said it does not make sense unless you understand and participate in the mythology that it invokes. He had several examples of our western appropriation of these ikons that illustrate profound lack of understanding. Like putting images of the deities in the bathroom or even the image of Saraswati that Devon has up. There, she is standing on a book and Arun said, that must be a free form expression. She would not step on the objects that she inspires, or so I took his point to be. It gave me a different perspective on all the “rules” in Pune. They seem like rules because we are outsiders from a different culture. The rules would just be integrated modes of behavior if we were of that culture. Like knowing not to put Sarswati’s feet on books in a picture or books with the feet or with the foot wear outside class. That Arun explains the reasoning behind things is quite helpful. Often, there are multiple reasons. For example, he also taught about the thumbs staying close to the other fingers of the extended hands like Navaz emphasized throughout June and July. Her reasoning, which was a perfectly good one, nowhere in Light on Yoga are Guruji’s hand spread wide when they are in the air. Arun talked about it more symbolically. The thumb is like the atman joining the par-atman of the other fingers. Lovely. Both reasons are good ones and they aren’t in conflict, but now it has more of a meaning to me than doing it because Laurie and Navaz pointed it out. I have a glimpse of a deeper understanding. Just on the asana level, he presented so many different ways of doing twistings, in bk and virasana and Amvira that made them so intense. Again, maybe it is that I’ve worked on the poses a lot this summer and am on a new edge of opening, but I sort of felt like I’d made no progress at all. I just felt stuck in my stuckness. However, I was palpably aware that it was really my mind feeling the stuckness of the body, the mind is what’s stuck. Arun also modeled Prashant’s teaching about “do in such a way that learning is paramount” not just as a teacher facilitating that for us. But he asked about words that he didn’t know. Like my t-shirt was from a studio that CT and I went to in California last year. Yoga Cove. He asked what a cove was, and I said “a shelter by the sea.” He repeated it several times over the day. Apparently, he also learned what whining meant in Dallas. “Learning is as much an art as teaching.” Arun illustrates the quote on that RIMYI T-shirt beautifully. Well, we’ve got one last session with him this morning and then I’m on my own practice wise until Mary and Eddy in Dallas. Come to the Castle at 9:30 tomorrow for Focus on Form. I’m looking forward to learning on the teaching side of the mat! Sarvangasana é a inversão sobre os ombros, um dos asanas fundamentais do Hatha Yoga. Tradução do nome desta postura: sarva = todos, anga = membro; “postura de elevação de todos os membros”. Para iniciar, você pode colocar um cobertor dobrado em oito partes sob os ombros, fazendo uma plataforma firme para manter o pescoço fora do chão, proteger a região cervical e evitar o excesso de compressão nesta área. Deitado de costas, una as pernas e eleve-as sem impulso, juntas e estendidas, enquanto inspira fundo. Caso isso não seja possível, recolha as pernas em direção ao tórax e eleve-as verticalmente quando os joelhos estiverem por cima da linha do rosto.